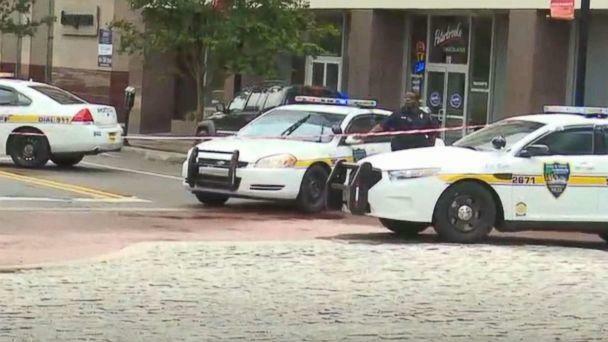 Two people were killed, and at least another 11 injured in a mass shooting that erupted Sunday afternoon at a Madden NFL esports tournament in a popular area of Jacksonville, Florida, sheriff's officials said. Calls to 911 reporting the shooting at Chicago Pizza in the Jacksonville Landing began at 1:34 p.m., police said. Officers arrived on scene two minutes later and the local businesses in the area were placed on lock down. 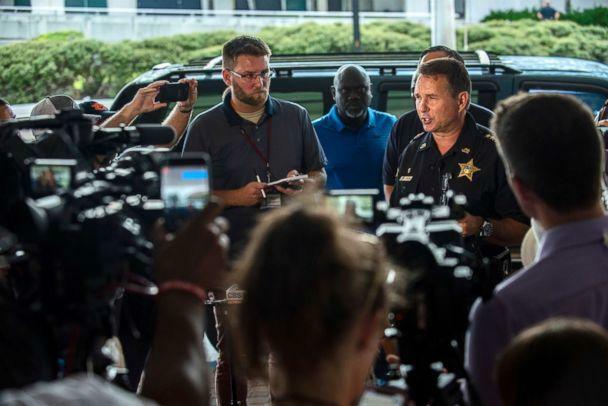 Three deceased individuals were located at the scene, including the shooter, who police believe is 24-year-old David Katz from Baltimore, Maryland, Jacksonville Sheriff Mike Williams said at a news conference Sunday night. The identities of the victims who were fatally shot was not revealed. Nine victims are being treated at local hospitals for gunshot wounds, authorities said. Another two people were injured while attempting to flee the scene. They are all in stable condition, police said. #TheLandingMassShooting - Three deceased individuals were located at the scene, one being the suspect. The mother of one surviving victim posted a photo on Twitter of her son's blood-stained book bag. The victim was shot multiple times, according to his mother. The suspect died of a self-inflicted gunshot wound, police said. His vehicle was located and impounded, officials stated. A single handgun was used in the shooting, authorities said. Investigators are working to determine the suspect's whereabouts Saturday night and believe he may have stayed in a hotel in the area, Williams said. The FBI in Baltimore is assisting in the investigation. 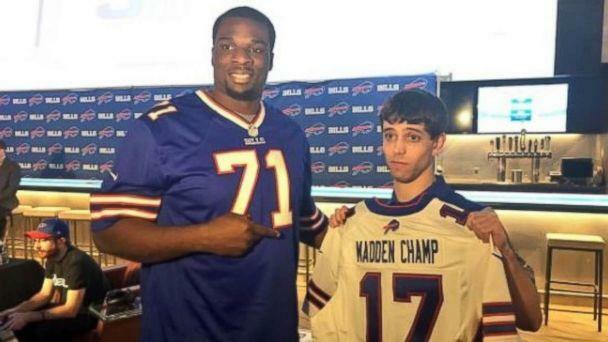 Police will not discuss motive but say the suspect was in the area for the Madden 19 tournament. Madden NFL is a video football game named after former Oakland Raiders' head coach and NFL analyst John Madden. The grand prize in the Jacksonville tournament was $5,000 and a trip to Las Vegas for the finals in October, according to the EA Sports website. The Madden tournament was taking place at the GLHF Game Bar, which shares the same door with Chicago Pizza. 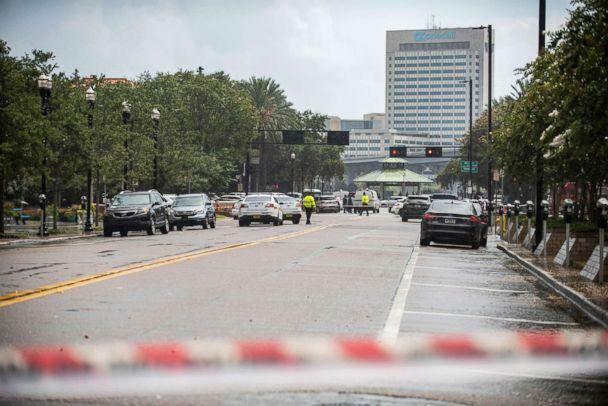 "Today Jacksonville is mourning," Mayor Lenny Curry said Sunday night. "We have faced an all-too common occurrence, one that will require us to continue the hard work of ensuring public safety. I’ve said any violent crime in our city is one too many. Tonight we pray for the wounded and the families of those who were lost," Curry said. Brianna, an employee at the Chicago Pizza in the Jacksonville Landing, described a chaotic scene that unfolded as the gunfire sent terrified people running in all directions for cover. "I was working ... and the next thing you know, I hear gunshots," Brianna told Jacksonville ABC affiliate WJXX. "I look over and see people running, just going crazy. I saw somebody on the ground, a body on the ground. I saw a kid with blood all over him." She said a gamer participating in the esports tournament told her that the gunman was arguing with another gamer, then went to the back of the venue, where he waited a few minutes before opening fire. Brianna, who did not give her last name, said a security guard told her to go hide. "As I was hiding, I called my mother to let her know I was OK," Brianna said. One shooting victim, Drini Gjoka, 19, posted a series of tweets, one reading, "Worst day of my life." Investigators have obtained a video of the shooting and asked anyone with more video to contact the sheriff's office, Sheriff Williams said. In a video of the shooting circulating on social media, at least 11 gunshots could be heard, followed by people screaming. Witnesses told WJXX that the shooting occurred after an argument flared up over the Madden esports competition. ABC News has not been able to independently confirm the witnesses' statements. 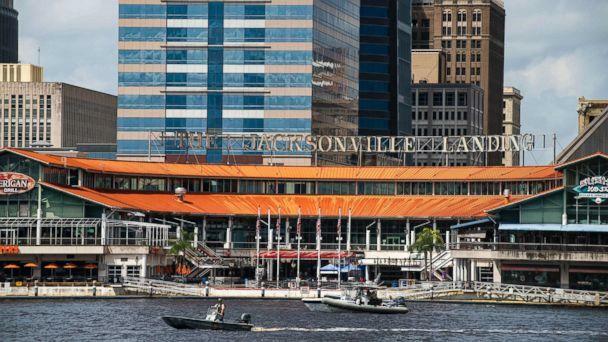 As the shooting unfolded at the waterfront district, the sheriff's office tweeted, "#LandingMassShooting at the Jacksonville Landing. Stay far away from the area. 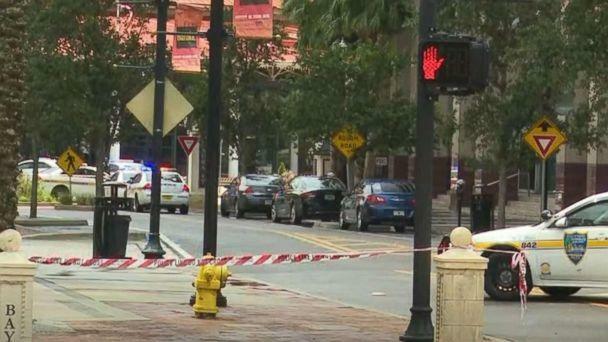 The area is not safe at this time," the Jacksonville Sheriff's Office tweeted Sunday afternoon. Moments later came another alarming tweet from the sheriff's office: "We are finding many people hiding in locked areas at The Landing. We ask you to stay calm, stay where you are hiding," the sheriff's office said in a tweet. "SWAT is doing a methodical search inside The Landing. We will get to you. Please don't come running out." EA Sports, publisher of the Madden NFL e-game, released a statement saying they are "devastated" by this incident. "The tragic situation that occurred Sunday in Jacksonville was a senseless act of violence that we strongly condemn. Our most heartfelt sympathies go out to the families of the victims whose lives were taken today and those who were injured. All of us at Electronic Arts are devastated by this horrific event, and we also join the community in thanking the first responders who were quickly on the scene. Our focus right now is on those affected, and supporting law enforcement as they continue their investigation into this crime," the company's statement reads. The NFL issued a statement, reading, "We are shocked and deeply saddened by the horrific tragedy today in Jacksonville. Our hearts go out to all those affected. We are grateful for the first responders immediately on the scene. We support our partners at EA Sports and we will continue to monitor developments with local law enforcement." ATF and FBI Agents were headed to the scene to assist in the investigation, the agencies confirmed. President Donald Trump has been briefed on the shooting, said White House press secretary Sarah Sanders. Florida Gov. Rick Scott said in a tweet that he was briefed on the incident by Williams and that the state was ready to offer any resources needed in the investigation. He said the Florida Department of Law Enforcement was also sending resources to the scene. Scott spoke by phone with President Donald Trump, who offered federal resources to help in the investigation. The governor was traveling to Jacksonville from Naples, Florida, Sunday evening. The Jacksonville Sheriff's Office is asking anyone with information about the shooting to contact them immediately by calling their hotline at (904) 630-0500 or their tip line at (866)845-TIPS.